WE MANUFACTURE AND DISTRIBUTE 2 TYPES OF FIBERGLASS COLUMNS. BOTH COME WITH A LIMITED LIFETIME WARRANTY BUT OFFER CERTAIN ADVANTAGES OVER ONE OTHER. We manufacture and distribute 2 types of fiberglass columns. Both come with a limited lifetime warranty but offer certain advantages over one other. Fiber Reinforced Polymer (FRP) is most advantages when column covers are required. 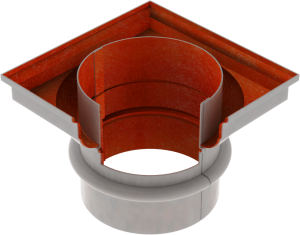 The product is lightweight and comes standard in 2 halves with internal lap joints to facilitate quick reassembly around structural members. While it comes standard with a marine-grade white gel coat, it is available in an unlimited array of colors, textures, and aggregates that can mimic stone, wood, metal, etc. Fiberglass (cast) is most advantages when a whole column with high capacity for load is required. These pillars, however, are only offered in a paint-grade option. Both materials can be used for either application mentioned previously but one has a slight advantage over the other. Take a look at the comparison chart below to determine which product will work best for your project or give us a call for a quick run through. If budget is your main concern, there is no rule of thumb to follow: Sometimes FRP is the cheaper alternative and other times fiberglass is the less expensive option. Whenever making a purchasing decision for architectural columns, don’t forget to weigh the costs associated with installation. We know every possible cost you can encounter so give us a call if you aren’t one for surprises. Columns pictured with support ring under the cap. Not all columns come with support ring. 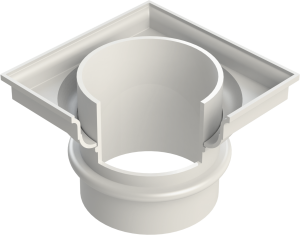 Astragal or neck ring provided loose on Square columns and can be removed on round columns.